Bloomberg’s global outage on Friday highlights yet another banking sector weakness. The financial data network’s downtime may have been a problem only for the richest fraction of the top 1 percent. But it prompted enough worry for the Bank of England to remind banks that it’s there as a lender of last resort, raising questions about traders’ heavy reliance on a few fallible systems. There’s a frivolous side to the woes of Bloomberg LP, the private company whose terminals not only provide financial information and analytics to many in the financial sector but also function as the trading world’s most entrenched social network. The Wall Street Journal noted that bankers suddenly had to use telephones in the absence of Bloomberg’s messaging system, making trading floors noisier than usual. And Twitter revealed that denizens of the City of London, in the time zone most affected, were flocking to the enclave’s pubs. But Britain’s Debt Management Office felt compelled to reschedule a planned regular sale of 3 billion pounds of Treasury bills. And the BoE and other regulators found the outage significant enough to merit comment. That’s a sign of genuine concern – however slight – about systemic fallout. The dark Bloomberg terminals seem to have affected some stock trading, too. But the impact might have been far bigger in the midst of a market slump, say, or on a Monday replete with merger news rather than on a relatively calm Friday. 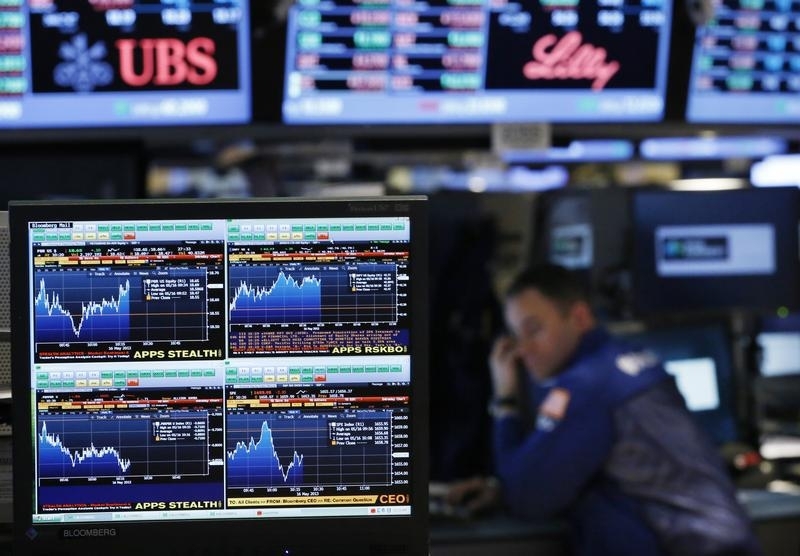 Stock exchanges have come under fire over technological glitches like the one at Nasdaq that seriously disrupted the first day of trading in Facebook stock in 2012 and cost UBS alone hundreds of millions of dollars. It may be that third-party information and communication platforms need more scrutiny. As several smug Twitter users pointed out, there are alternatives to Bloomberg, including competing products provided by Thomson Reuters, parent of Breakingviews, and Markit. Of course, none of these are immune to problems. Whatever Bloomberg, Thomson Reuters and others can do to strengthen their technology – and whether or not Friday’s outage boosts Bloomberg’s rivals – banks need to consider weaning their people off specific systems and providing alternative and backup options beyond just old-fashioned phone lines. That’s something to chat about over an early pint in the City. Service was later restored to most customers. Britain’s Debt Management Office rescheduled a planned regular sale of 3 billion pounds of Treasury bills. Bloomberg, which has 2,400 reporters and editors in more than 150 bureaus worldwide, competes with Breakingviews parent Thomson Reuters in providing financial news and information.